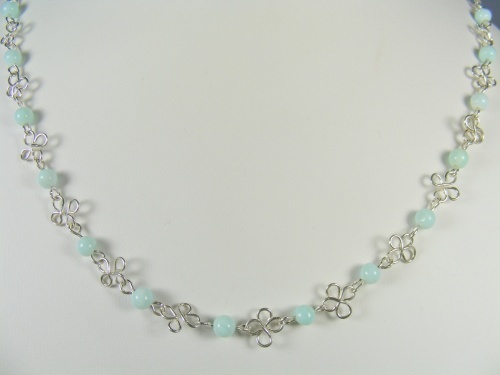 This pretty amazonite gemstone necklace is so sweet and soft. Perfect for someone who doesnt like big showy pieces. Beads are separated by handmade flower lookalike sterling silver links. Measures 17".